PMK Inc. offers health and wellness developers, manufacturers, distributors and retailers a full suite of consulting services with the goal of assuring that neither company profits, nor consumer choice, are limited by industry regulations. Don’t give your competitors an edge. Expand your product’s market share faster by taking advantage of our network. 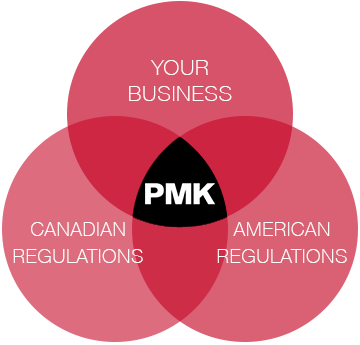 When you partner with PMK, you will have access to our full suite of business to business services crafted to champion your Canadian growth. Our expertise in Canadian regulatory affairs can greatly reduce the time and costs associated with entry to Canada. Tony Hua | Regulatory Affairs ManagerRobinson Pharma, Inc.